Operation International’s Dental Team was founded in 2014 by two dentists who shared a long history of partnership and a commitment to volunteer work: Nilesh Patel, DDS, a General Dentist practicing in Portchester, NY in Westchester county, and Amul Patel, DDS, who is in private practice in Mount Vernon, NY and Stamford, CT. 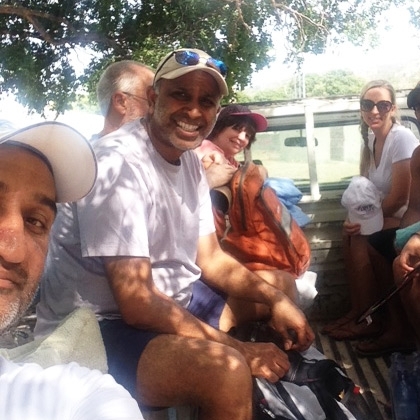 In 2015, the two dentists, accompanied by Cecelia Sorelle, a Navy dentist with a practice in Queens, New York, traveled to Haiti for the third Dental Mission with Dental Assistants, Ustav Patel, Jamie Patel, Maria Mastrocola and George Solomon, Team Leader. The team worked on the Island of LaGonave, in a small fishing town of Anse A Galet, primarily treating emergency patients as well as doing extractions and fillings. The team saw between 80-100 patients a day for over a week, including people three hours away in the mountainside village of Nan Sema.